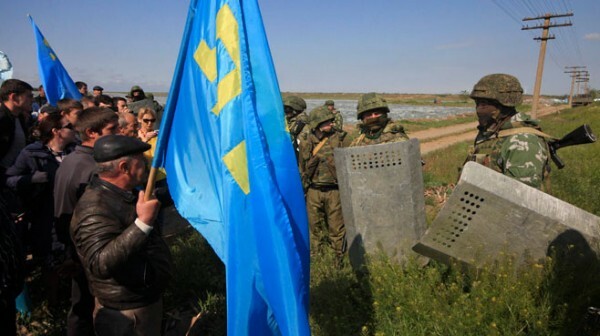 Russian troops blocking Crimean Tatars from crossing a checkpoint connecting Crimea and the Kherson region. The White House on Tuesday reiterated its position that the United States does not recognize Russia’s annexation of Crimea. “We don’t recognize Russia’s attempts to annex Crimea at all,” White House spokesman Hogan Gidley told reporters as Trump flew to West Virginia. Trump and Russian President Vladimir Putin plan to hold a summit on July 16 in Helsinki. “We don’t recognize Russia’s attempts to annex Crimea at all,” will Trump tell it to Putin? The Crimean Tatars might get help from Turkey….